During Levi’s Station to Station event back in September at the Saint Paul Union Depot, I checked out the art, almost bumped into Patti Smith (really), and entered a contest at one of the interactive kiosks. And I won! I got my Levi’s gift card today. I sense a sweet jean jacket in my future. 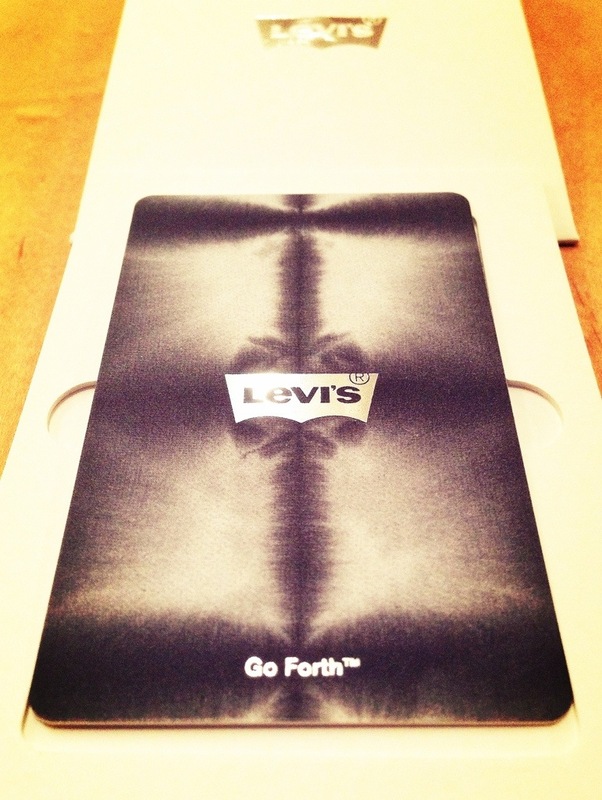 Thanks @Levis and @SpinMedia! This is day 317 of Photo 365. This entry was posted in Photography and tagged Levis, Saint Paul, Station to Station. Bookmark the permalink.